Common Sense Revelation: Terry Rees is helping people understand the importance of protecting freshwater resources one conversation at a time. Terry Rees’ environmental credentials match up favourably with just about anyone this side of David Suzuki. The executive director of the Federation of Ontario Cottagers’ Associations (FOCA) sits on a wide variety of water-oriented boards, panels and committees, including the Ontario Biodiversity Council, the Ontario Water Conservation Alliance, the North American Lake Management Society and the Lakeland Alliance, to name just a few. 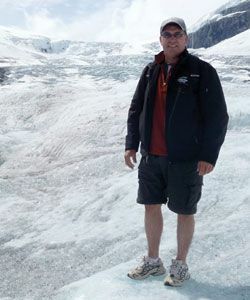 He’s been a featured speaker at the Latornell Conservation Symposium, a panellist at a David Schindler Endowed Professorship water panel at Trent University, and delivered expert testimony to the Walkerton Inquiry. He even moderated an environmentally-oriented all-candidate debate in the most recent federal election. But there’s something different about Terry Rees, something that sets him apart from most of the people that he works with on his various environmentally-oriented boards and committees. Terry Rees is a pragmatist. Rees says that of all his roles and responsibilities he gets the biggest kick of out interacting with landowners and helping them make the connection between self-interest and sustainability. “It’s really interesting to have those one-on-one conversations where people are connecting what’s happening around them to what’s happening with the water that’s in their pond or lake or groundwater,” he says. “People will make those connections when given an opportunity to talk through them.” Those connections are often facilitated by Docktalk, a province-wide outreach program that Rees created in 2005 consisting of shoreline visits, community events, and one-on-one interactions. Ultimately, he says, it’s those sorts of personal relationships between people and their water that will lead to truly effective water management policies and practices. “Technology is going to be very helpful for us in terms of treating water in a cost-efficient way, but there’s a whole bunch of behavioural and social things that are important,” he says. “If we can get water into the hearts and minds of people and it becomes second nature, then we’re a long ways along.” And befitting his pragmatic perspective, he insists that doing something is always better than doing nothing.